Interview with Co-Founder of 2XU: Jamie Hunt | JustRunLah! We spoke to Jamie Hunt, co-founder of 2XU. ‘By Athletes, For Athletes’ – his 2XU together with his impressive Ironman performances really becomes the gist of this notion. With a 9 hour 3 minutes finish in Brazil and an 8 hour 50 minutes completion in Melbourne a few years ago, while many of us regulars are struggling to hit a sub10, he just leaves us in a daze at just how he does it. Jamie: I’m a father. I have 3 grown up children. I’m somebody who loves to work. I’m somebody who is passionate about growing a great brand. And I’m somebody who loves to stay fit and workout everyday. Even this morning, I just biked at the East Coast Road. Tomorrow I’m going to do a run. I’m somebody who lives a well rounded life. I’m somebody who loves to do things well. I’m a man who wants to live an excellent life. I’ve been a professional Athlete for 13 years and I won many races through this time. I retired in the year 2000. 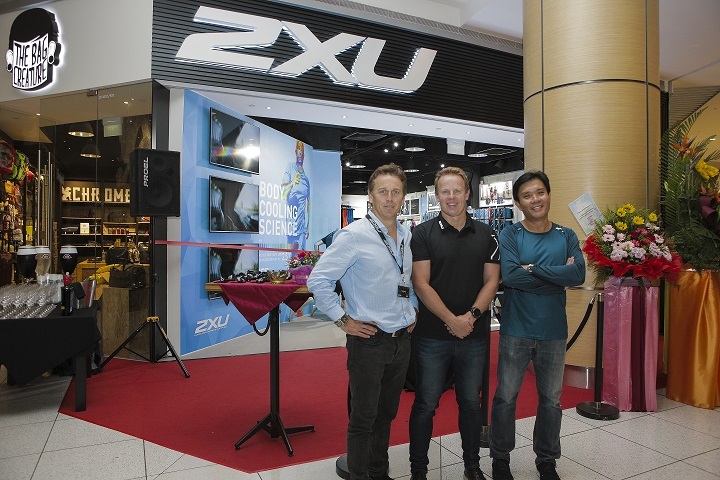 It’s been 11 years since I started 2xu and now we have 5000 -6000 stores world wide and it has been a dream come true. JustRunLah! : When did you first pick up triathlon (what age) and what inspired you to do so? Jamie: I started triathlon when I was 13. In New Zealand, triathlon in the school programme was very big. Triathlon in New Zealand is one of the biggest sports. It’s one of the top 5 sports in NZ. I did one race, and finished near last. 2 years later, I decided to give triathlon a good go. When I was young I was a swimmer and a runner. Within one year, I was the best junior in New Zealand. From then on, I just started racing. I did duathlons for a few years as well. In 94, I started doing triathlons professionally. And I still do it today, after 30 years. I actually stopped for 2 – 3 years and I actually found that I lacked something, so I started again. Work is very busy so I do very little training. So I have periods to balance out what I can or cannot do. JustRunLah! : Would you say that one needs to have a certain mind-set to take on IRONMAN races? Jamie: You must be a very determined person. You must be selfish. You must have many years of athletic in them to do it well. Thing with Ironman, you can do it well, or you can finish it. For me, I always wanted to race an Ironman. Just to finish an Ironman, anybody can do it. It’s about having a good mindset and not training too hard as well. You go to Kona, it’s another story. The heat, the wind, the hills. It’s very special! JustRunLah! 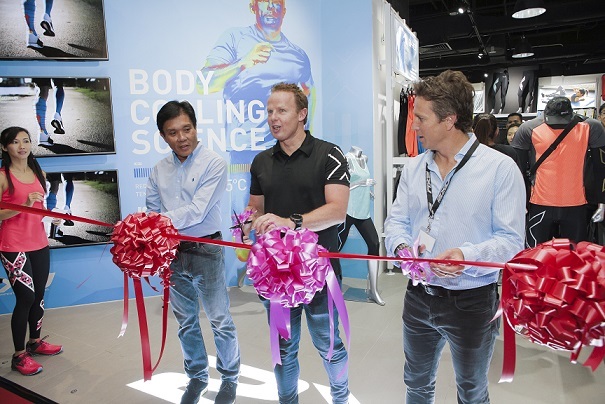 : Founded 2XU in 2005. How has this 11 years journey been for you? Jamie: It’s been ups and downs. There’s been times where I loved the journey. There’s been times I found it too much. But I’ve learnt alot during this time and I wouldn’t trade it for anything. And now I look back, I know so much more now than I knew back then, and look forward to 11 years time to know alot more then than I do now. With business, the more you learn, the more you enjoy it. You feel like you stopped learning things, it’s time to start a new career. And for me, I’m still always learning new things. I love learning – about sport, about garments and it has driven me on for this past 11 years. JustRunLah! : What are your future plans for 2XU in Asia? Jamie: I mean Asia is becoming a very big market now. We’ve recently signed with a Chinese Company to do China 2xu. We’re going to expand our retail footprint alot during this time. Keep making the world’s best compression and keep making this brand different, unique and the best is always our goal. 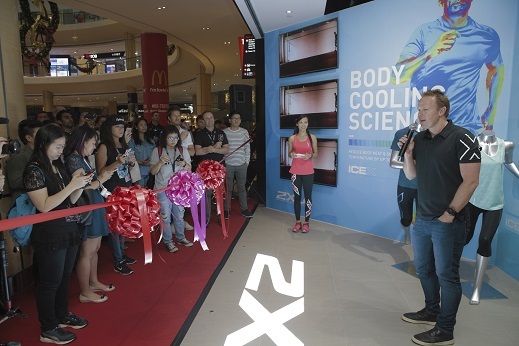 They come and experience the 2xu product, to really understand the technology by the illustration by the handtags, by the staff, to give you an overall experience. JustRunLah! 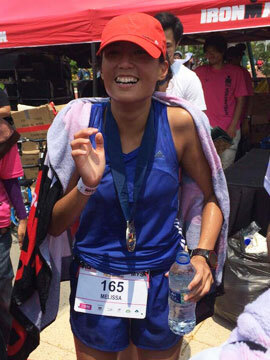 : One advice for Asia runners/triathletes training for their upcoming races? Jamie: I would say recovery is a very important thing. It’s compression, sleep and good food. Second part of it is enjoy it. Don’t let the sport go ahead of your family. It’s not meant to be a burden, it’s supposed to be fun. Enjoy the sport, enjoy the journey and make sure your life is balanced!